If you’re looking for a day trip from Rome, you don’t have to go any further than Lazio, the region that’s home to Italy’s capital city! 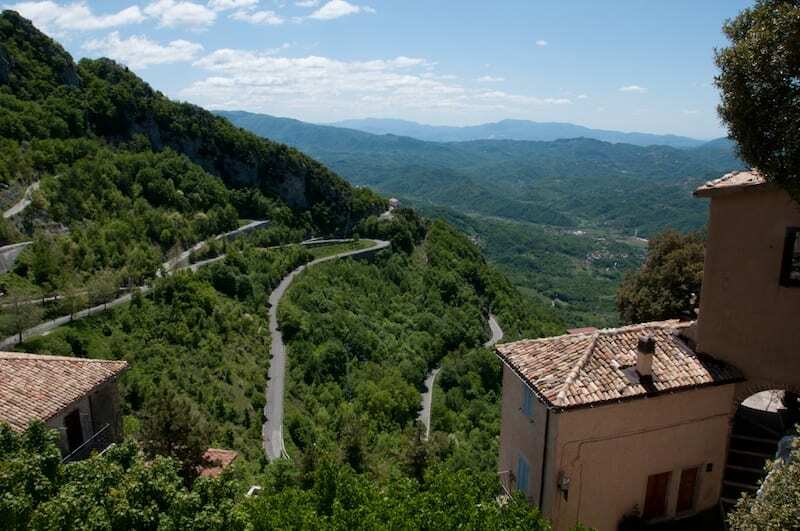 Although many travelers skip over Lazio on their way to Tuscany or Umbria, that’s a mistake. Here are 7 hidden gems of the Lazio region, in pictures. (Since Lazio has so much to offer, don’t miss part II of this post!). Located just an hour from Rome by train, the town and lake of Bracciano make the perfect escape. The medieval town is quaint and lovely; the 15th-century Odescalchi castle has been the residence of two different papal families (the Borgias and Orsini), and played host to Tom Cruise and Katie Holmes (ill-fated?) wedding! (We included the castle in our post on 10 of the most beautiful castles in Italy!). When he wanted to escape from Rome, Emperor Hadrian came to his sprawling, luxurious villa outside the city. Much of the villa remains intact today, with columns, marble pavement, and ancient statues, and gives a tantalizing glimpse into the opulence of ancient Rome! Here’s an archaeological site few visitors have heard of: the Etruscan necropoli of Sutri! 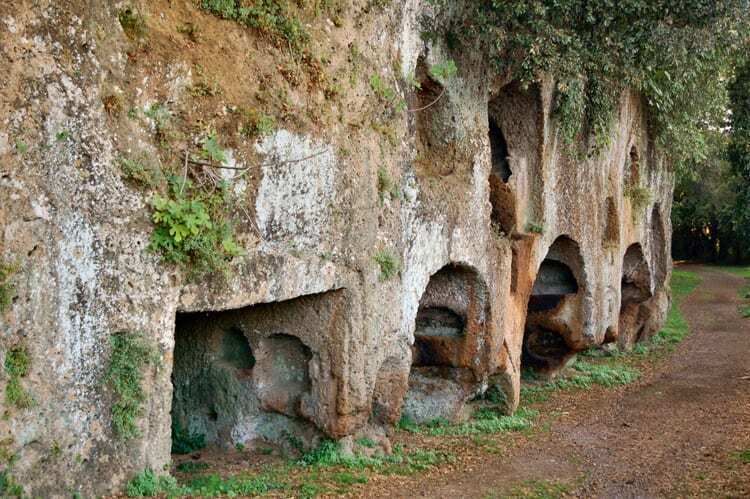 One of the key towns of the ancient civilization of Etruria, Sutri today has 64 Etruscan tombs dating all the way back to the 6th to 4th centuries B.C. (that’s 600 years before the current Pantheon was built in Rome!). The Roman amphitheater here is also worth seeing. Sutri is located just 45 minutes by car from Rome. This gem of a town is one of the most striking sights in Italy! Civita di Bagnoregio suffered an earthquake in the 17th century that was so devastating, much of the town collapsed, leaving only the small section you see here. (Even the home of Saint Bonaventure, who was born here, fell off the edge of the cliff). The town’s isolation means it has only a handful of residents today, but it’s well worth seeing for its beauty. Just go now, since erosion continues to eat away at the town! Easily reachable by train from Rome, Albano Lake makes an ideal escape in the warmer months. But year-round, it’s also worth visiting to see Castel Gandolfo, the tiny, charming town overlooking the lake that belongs to the Pope himself, and where he vacations in the summer. 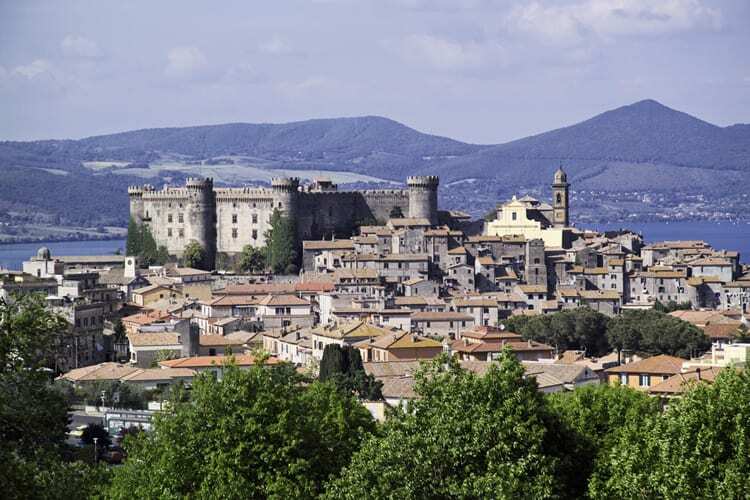 With its 11th-century walls, Romanesque cathedral, and even a papal palace, Viterbo is one of the best-preserved medieval towns in all of Italy. 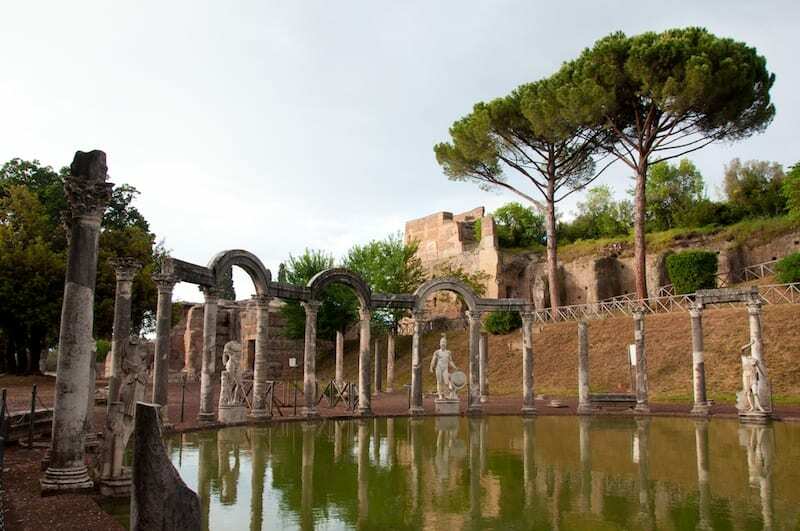 Aside from the draw of its winding streets and attractions—including the Museo Civico with archaeological finds, Pinacoteca, and botanical garden—the biggest reason to go to Viterbo is its spa. The thermal baths here have been used since the Etruscan and Roman times, and today, they make for a chance to truly relax and unwind. Located on the top of a mountain in Lazio’s lush Monti Simbruini, Cervara di Roma is a medieval town unlike any other. In an attempt to attract more visitors, the people of Cervara—who number less than 500—have made their town a destination for artists, welcoming international artists and art students and allowing them to create sculptures, murals, and other pieces on the walls and stones of the town. As a result, a visit to Cervara doesn’t just mean striking views of the surrounding countryside, but a tour through a living art museum! glad to see you are promoting this area, as I also do with my books and conferences. is there additonal info on how to travel to each of these great places, from the center of Rome???? Good question! 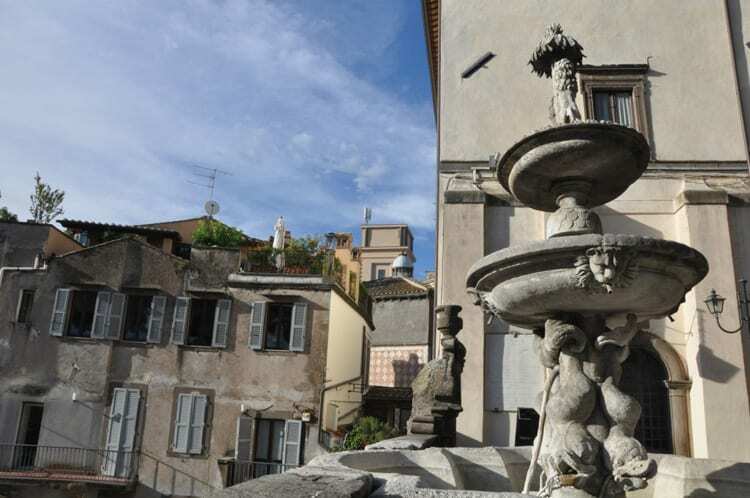 Bracciano, Tivoli, Castel Gandolfo, and Viterbo are all reachable by train from Rome; go to http://www.trenitalia.it and put in your information for exact times and stations. 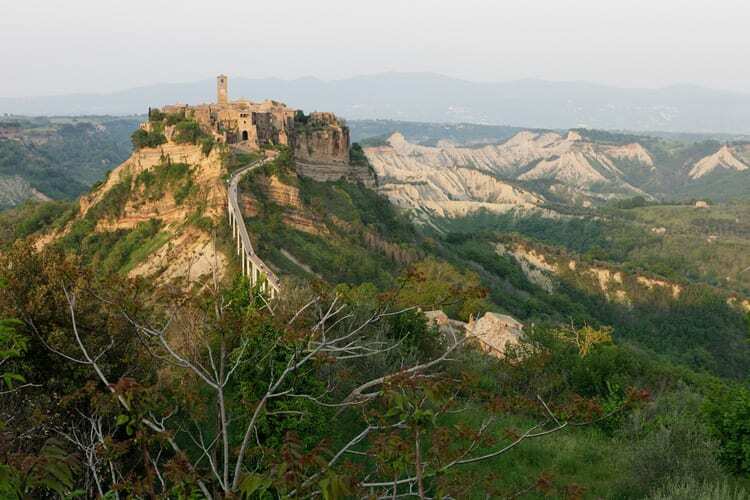 Sutri, Civita di Bagnoregio, and Cervara are better accessed by renting a car. Let us know if you have any other questions! I’m half Italian and I have been to Italy many times however I have been unable to visit as many other cities and regions as I would like! Every year I go to Italy I stay in our family home in Lazio and I love it there. 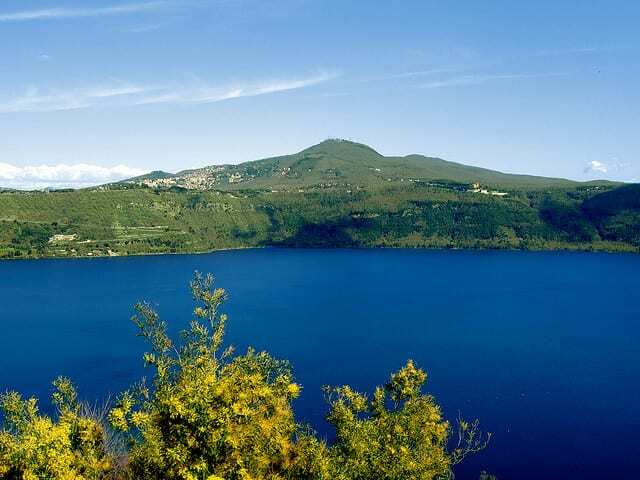 I was actually also lucky enough to visit Lake Albano and Castel Gandolfo a few years back on a school trip. Spectacular. Thank you for showing the beauties of this country and this region!